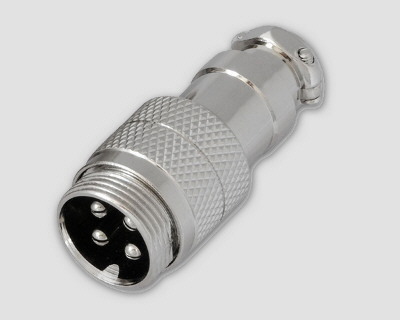 The PMDX-4Pin-Inline-Jack is a 4 pin connector with metal shield. This connector is ideal for building extension cables for stepper motors, and other applications that need 4 conductors. This inline jack mates with the inline plug from our PMDX-4Pin-Plug&Jack set.